For some reason the site is offline again, it was working perfectly until 1-2 hours ago, will add more details here later. Ok it' definitely a problem with the new nameserver, yesterday (13-14h ago) when the site went offline it wasn't responding anymore, today it's responding but the domain name still isn't working, let's hope that it will start working again later, personally I think that someone ddos'ed it..
RanDom wrote: ....., personally I think that someone ddos'ed it..
You guys are aware that your DNS record is basically empty, yes? The domain name still isn't working...waiting for more detailed update. I have tons of series to upload when the site gets back ON-LINE. Zash wrote: I have tons of series to upload when the site gets back ON-LINE. I can't wait to download those series, specially those encoder who encode some of the Fall 2013 Series. You can still upload them now. It's just our website host is the problem. Yes, they are already uploaded. I can't make the post because the site is always down. Would you mind tell me the password? Is the password only for encoders? The main site is up again. This is good and convenient! Thank you. - 4.20 GMT: as of 2 AM (GMT), hi10ani.me is down due to technical issues. Has HI10... Gone Off Line Again. I'm Having Problems Getting On The Main Site. 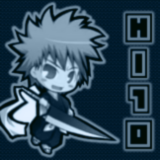 - 20.10 GMT: we’re back to the old domain hi10anime.com, most of the posts released in the last 4-5 days are missing because the site is using a backup but, we’ll try to fix everything asap.